There might only be four starting factions with Total War: Warhammer 2, but the Vortex campaign still covers a staggering area of the map with several different continents and seas on display. That small number of races is about to increase significantly within the next two months. 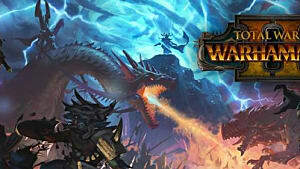 Developer Creative Assembly has confirmed the Warhammer 2 Vortex campaign map will be combined with the original Total War: Warhammer Old World map for a combined campaign titled Mortal Empires. Looking down at that overland campaign map for the base game, you might notice some similarities there to real world topography -- and that's absolutely not coincidence. 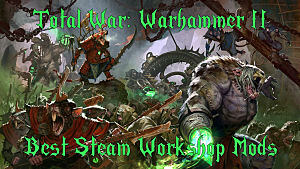 Warhammer is essentially set on Earth in the past, while "Holy Terra" is Earth in the far future with Warhammer 40,000. 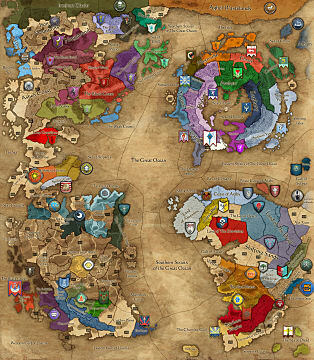 Many players coming into Warhammer from the Total War franchise (rather than the other way around) didn't realize that the Old World is purposefully analogous to Europe, while the New World Vortex campaign map is essentially North and South America, Africa, and an area representing lost Atlantis. Below is a list of every single settlement currently available in the game at launch, broken out by faction. 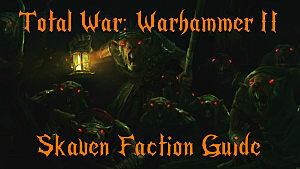 Note that the Skaven settlements appear as abandoned ruins to all other players and aren't on a fixed location on the map. 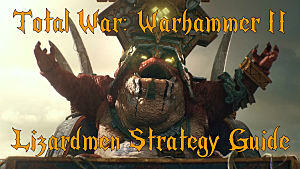 An overview of the entire Warhammer 2 base Vortex campaign map (via flyby) can be seen in the video clip below for a more up close experience than the overland map. 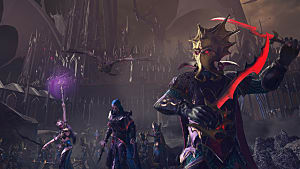 With the two campaigns combined, there will be changes in the Old and New World maps to include features from both games, like the Lizardmen's Geomantic Web, the Black Arks of the Dark Elves, and of course the Skaven ability to spread corruption in neighboring provinces. Getting the two maps to snap together will require some terrain changes -- and while we don't have the full combined Mortal Empires map yet to actually look at, we do know which settlements will be included. 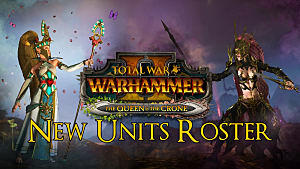 Below we've listed out all 295 Mortal Empires campaign settlements currently confirmed. 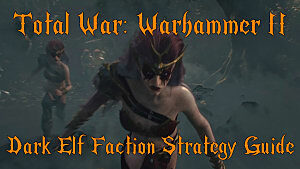 Based on the settlement list, it seems like some areas have been removed entirely or shifted to new areas, so there may be different starting points for several Total War: Warhammer factions in Mortal Empires. What faction are you planning on playing in the combined Mortal Empires campaign and what settlements are you planning on raiding first? Let us know in the comments section below! 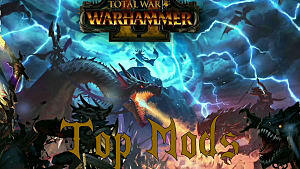 And be sure to check out the rest of our Warhammer 2 guides for more tips and tricks.